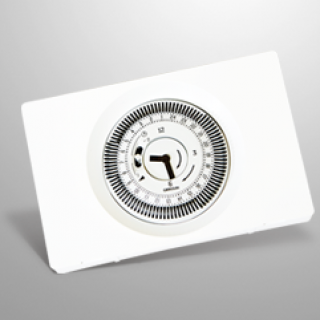 High SEDBUK efficiency rating and easy to install. 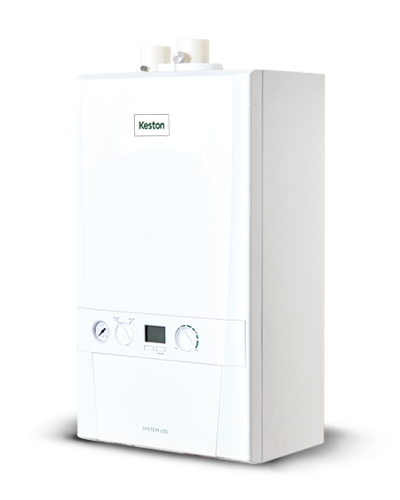 The Keston System boiler provides a simple and reliable solution for a wide variety of sealed domestic systems. 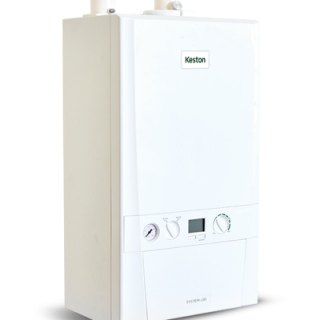 Available with a 30kW output, the Keston System provides a dependable and efficient solution for new and replacement installations. Time saving push & clip flue spigot connections and a wide range of alternative flueing solutions help to ensure the product is installed quickly in virtually any domestic situation. 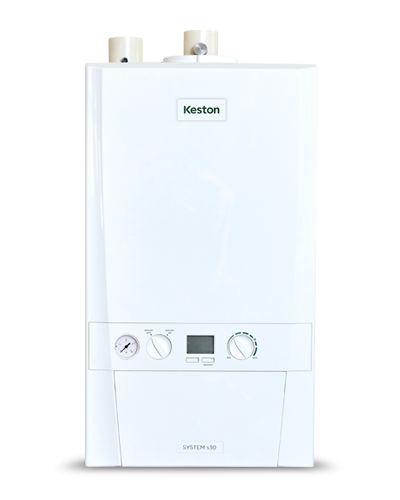 With a lightweight design, concealed connections at the base and no compartment ventilation required, the Keston System can be conveniently fitted out of sight into a standard kitchen cupboard*. 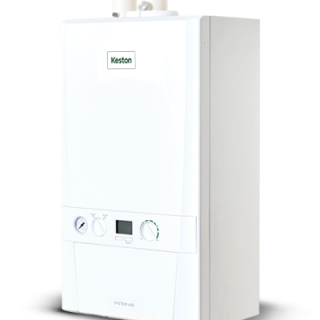 Complete with a 7 year parts and labour warranty†, the Keston System boiler provides simple heating control, all from a single compact appliance. * Please check cupboard size prior to installation. 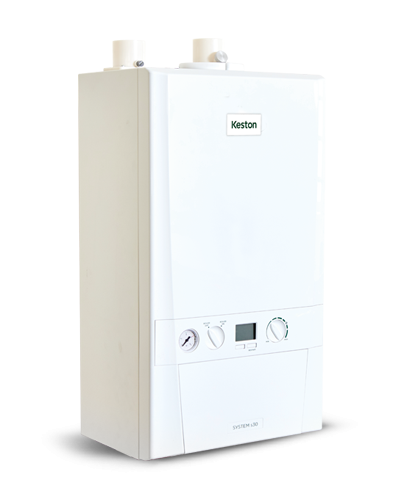 ** For the maximum total equivalent flue length please refer to the installation manual. *** The only systems approved for this application are: Marley muPVC (PVC-C) Solvent Weld Waste System (50mm), Polypipe System 2000 muPVC (PVC-C) Solvent Weld Waste System (50mm), Polypipe Terrain Solvent Weld System (50mm) and Wavin Osma PVC-C Solvent Weld System (50mm). Please use the recommended Solvent Weld Cement for each system. 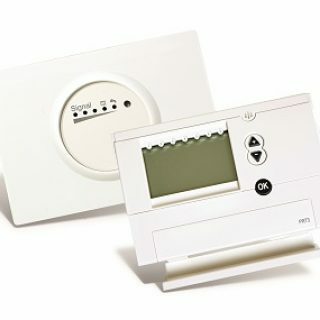 † 7 year warranty when installed with a Keston filter and registered within 30 days of installation. 5 year parts & labour warranty as standard. 7 year warranty available until 31/12/19. Terms and conditions apply; click here to read them. 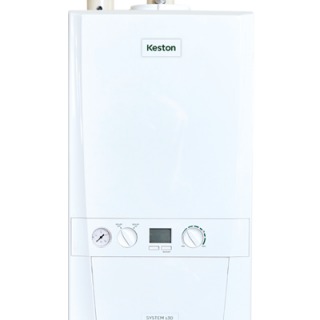 The Keston 22mm System Filter is a magnetic filter for use with Keston Combi and System boilers. 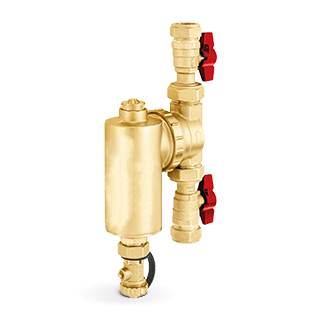 The compact forged brass design is easy to install and fits on horizontal or vertical pipework in both flow directions.